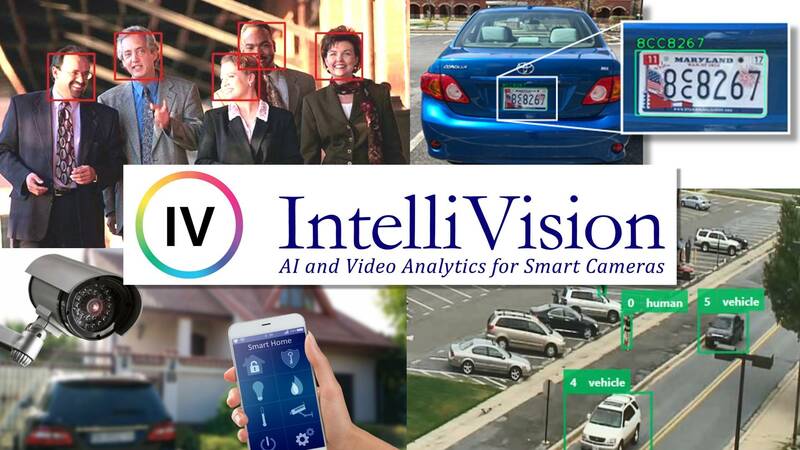 IntelliVision has the widest offering of AI-based Intelligent Video Analytics in the market today. IntelliVision’s video analytics automatically analyze live, streaming video from CCTV and surveillance cameras to provide actionable alerts for security events, eliminating false alarms and reducing the need for manual monitoring. IntelliVision’s Video Analytics products add artificial intelligence to cameras by analyzing video content in real-time, extracting metadata, sending out alerts and providing actionable intelligence to security personnel or other systems. Video Analytics can be embedded at the edge (in-camera), in servers on-premise, and/or on-cloud. They extract only the valid motion in a scene, filtering out noise such as lighting changes, weather, trees and animal movements. Video Motion Detection – detects valid motion, filtering out noise such as lighting changes and tree/animal movements. Camera Tamper Detection – detects any attempt to tamper with the camera, partially or completely blocking its field of view, or drastically changing the camera angle. Intrusion Detection – provides automated perimeter monitoring and secure area protection. Object Left – detects an object that has been left unattended for too long. Looks for objects that are not part of the normal scene. Object Removed – can detect when specific objects have been removed from the scene. Loitering – detects when a person has been in a specified area for more than a specified time. Wrong Direction – can detect when a person crosses a line in the wrong direction. Fall/Duress Detection – can detect when a person has fallen or is under duress. Person Running – detects when a person is running. Video Counter – counts people, vehicles and other objects. Generates comprehensive reports on people and vehicle traffic patterns. Video Summary – reduces a long archived video into a manageable video summary with actual events. Filters out noise such as tree movement, weather, light changes. Runs on indoor/outdoor cameras, baby cams, doorbell cameras, garage door cameras, etc. Can run in-camera, on-premise, on-cloud.